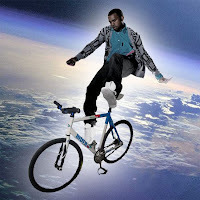 Now either this is an April Fools or Chicago rapper Kanye West really has started his own travel website www.kaynetravel.com. Apparently it is there to aid fans trying to get to concerts. The website doesn't look particularly special and I'm assuming there are future plans to sell tickets to his concerts and merchandise via the site. Kanye is obviously looking to own the whole end to end process of not only watching but getting you to and from his shows as well. This is indeed very enterprising and in many ways makes sense from a business angle but only if done carefully. With more responsibility comes more margin for error. If I booked a package deal to see Kanye and my flight was overbooked or there was some problem with the payments being processed etc, using this business model, it would be Kanye's company I would be annoyed with, not some random travel company I couldn't care less about. In a time when there seems to be no such thing as bad publicity, maybe this won't matter? Who knows but managing the whole end to end process inherently will bring about more risks (and lets not forget the money it will make) for the star. I do hope Kayne is screening his travel companies well and ultimately doesn't let his fans down.